With the holidays right around the corner, you’re likely beginning to think about the perfect gift for all of the loved ones in your life. And who is more fun to shop for than a tea lover? 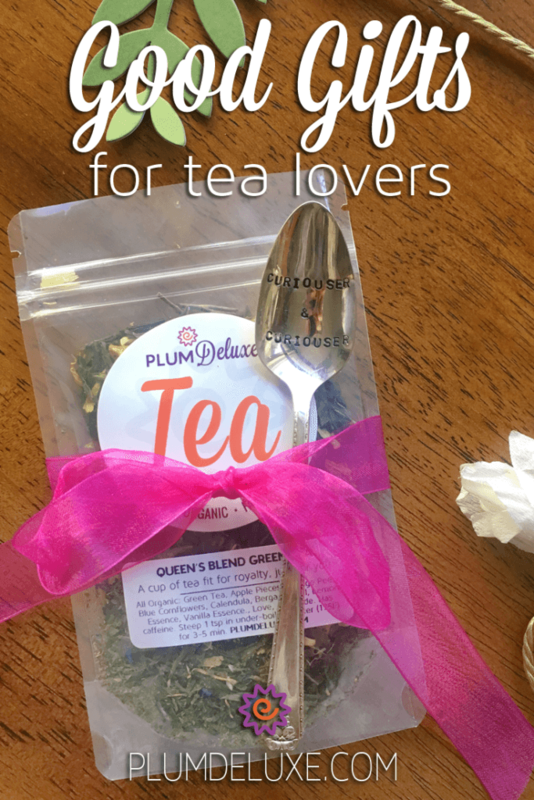 Today, I’ve compiled some good gifts for tea lovers of all kinds to make your holiday shopping (or shopping any time of year!) simple, thoughtful, and personal. While tea loving doesn’t require a ton of “extras” to enjoy a great cuppa, most of us know that there are at least a few tea accessories that can make your brewing both simpler and more effective. For the tea lover who could use a little tech, there are great accessory options available to make the brewing process even better! 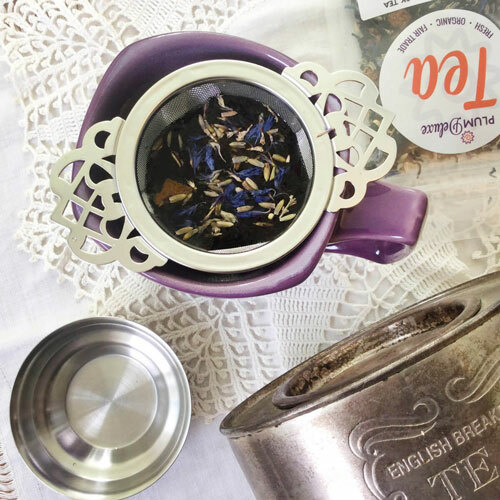 Accessories like a printed tea spoon with an encouraging message or a beautiful wooden nest tea infuser can make tea brewing more functional as well as more fun, and won’t crowd a tea-lover’s cabinet. On a larger scale, tea kettles with temperature control are perfect for both tea enthusiasts and newbies alike, making it easy to brew the perfect cup of green tea without scalding the leaves, or get that oh-so-elusive exacting oolong temp. For a bit of fun, why not include a milk frothing pitcher? While there are countless milk frothing options (like this matcha stick blender, great for mixing matcha as well as creating frothy foam! ), a milk frothing pitcher is the best way I’ve found to get cafe-style frothed milk easily at home. This one is a favorite of so many (myself included!) and offers both hot and cold foam options — perfect for tea lattes! 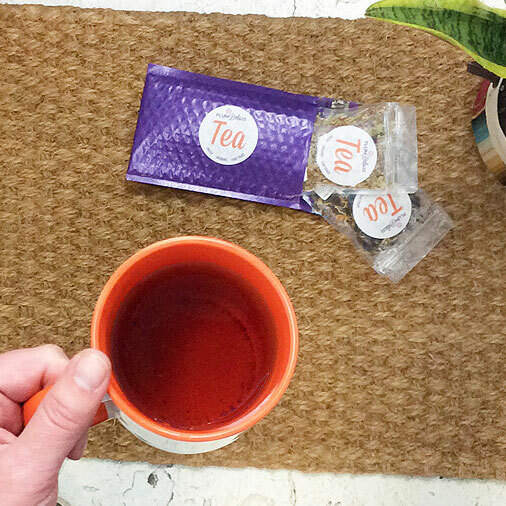 Of course, what’s better to gift a tea lover than tea itself? It’s best to know what types of tea your giftee might enjoy most, but when shopping for good gifts for tea lovers, you can never go wrong with restocking their tea cabinet. For green tea lovers, why not try something unusual, like a lemon creme Earl Grey or a blueberry hibiscus blend? Of course, a crowd pleaser like citrus and mint makes a winning combination that most anyone will love. For black tea lovers, a cozy and calming floral black tea paired with a great book can be an excellent gift for your most literary friend — or perhaps a more traditional tea will appease the purists! For herbal or tisane fans, a lovely chamomile paired with some relaxing tea-infused bath salts makes a perfect self care-focused gift. For those who enjoy a bit of decadence, how about a great, locally-made dark chocolate bar paired with an unusual chocolate-forward tea? Remember, when choosing a tea for a friend, be mindful of allergies or food preferences, as well. 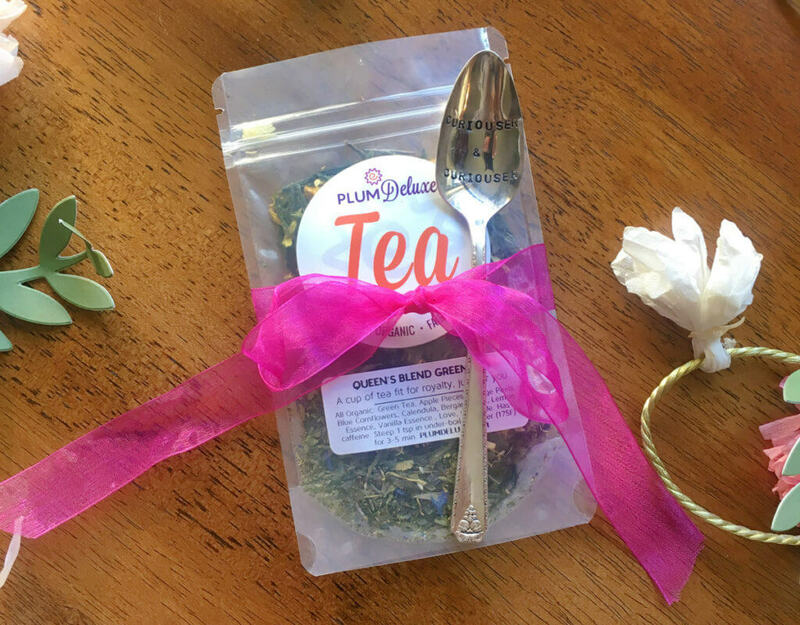 Other great tips for choosing the perfect tea blend gift can be found here. 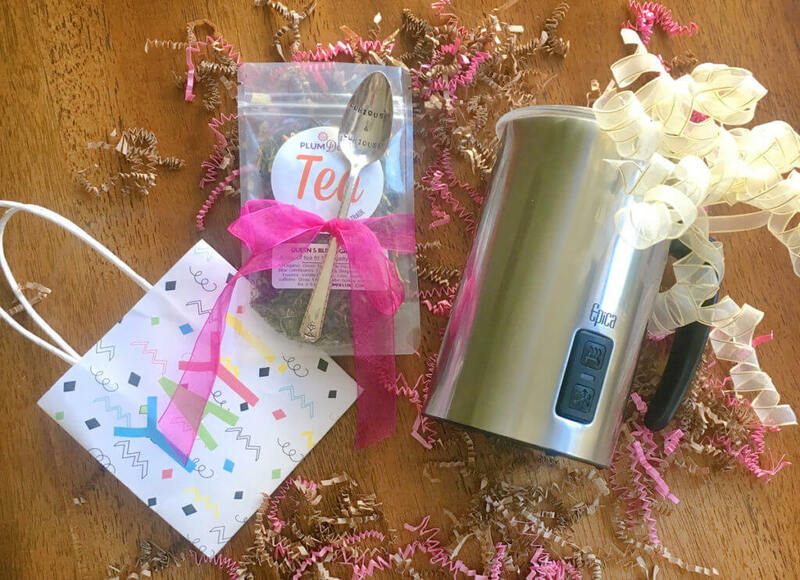 If you’re certain your tea-loving friend has got everything they could possibly need, why not gift them with the thrill of surprise? 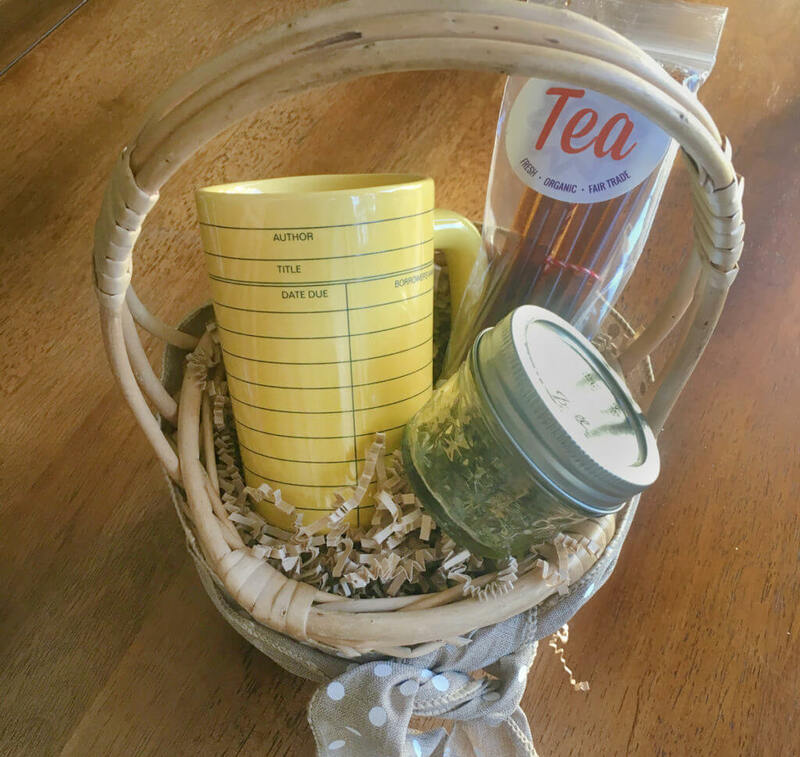 A monthly tea subscription can be a fantastic way to expose your friend or family member to new teas, and you’d be hard-pressed to find anyone who doesn’t enjoy monthly surprise mail with their favorite goodies inside. 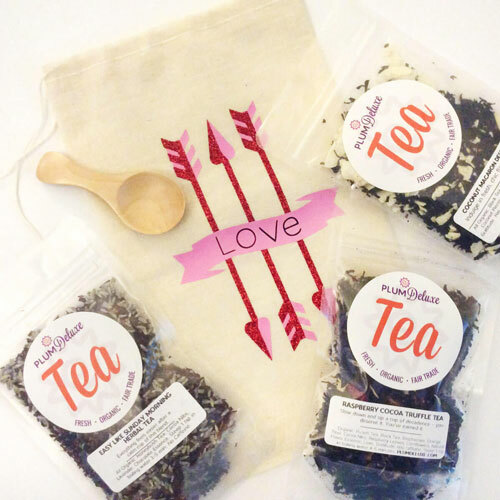 If a monthly subscription doesn’t sound like a good fit to you, something more one-off like a curated box of tea goodies can be a good gift for tea lovers of all kinds. As a (possible) tea lover yourself, you likely understand the plight of organizing an ever-growing cabinet of tea. Gifting some lovely ways to organize a tea collection is a present that’s both thoughtful and practical! A set of small, airtight mason jars for your tea-loving friend’s growing collection can be a great way not only to help with storage solutions, but to make an aesthetically pleasing cabinet display as well. With a little creativity, a spice rack can turn into a beautiful tea display for your friend’s home, too. If you really want to go all out, why not create your own gift box, perfectly curated for your gift recipient? 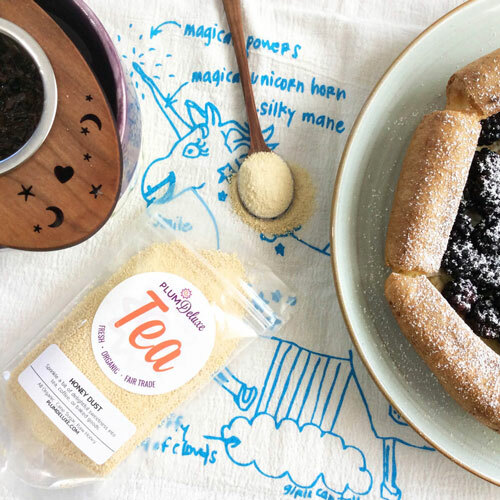 A simple, no-stress way to do this would simply be to choose one item from each category above, arrange in a lovely basket or box, and you’ve suddenly got a thoughtfully curated box, made especially for your tea-loving friend. Looking for specific ideas? Why not combine a fruity tisane with a beautiful honey pot, a brewing basket, and some small mason jars to store in? Haven’t quite found the right gift idea yet? Check out some more good gifts for tea lovers here. Whether you’re looking for ways to curate the perfect tea gift basket, tips for gifting to everyone from the newbie to the tea expert, or simply more options across the board, the possibilities for the perfect present are endless — and are as varied and diverse as the recipients themselves!